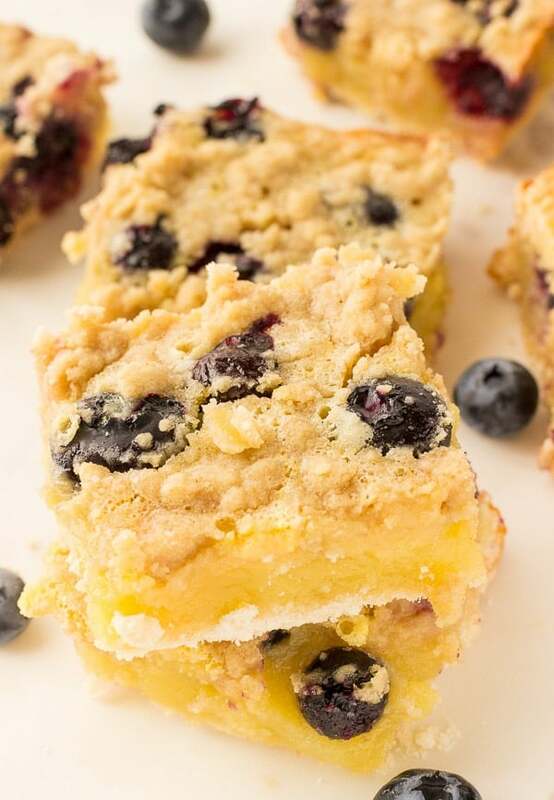 These Blueberry Lemon Bars are everything you love from the classic lemon bar but with the delicious addition of fresh blueberries. It really hasn’t felt like Spring here yet…but it’s suppose to be 50 degrees on Saturday, so I’m super excited about that! I’m also excited that this weekend is St. Patrick’s Day and March Madness basketball tournament starts. I love March Madness, it’s always fun to cheer on the team that you picked for your bracket. 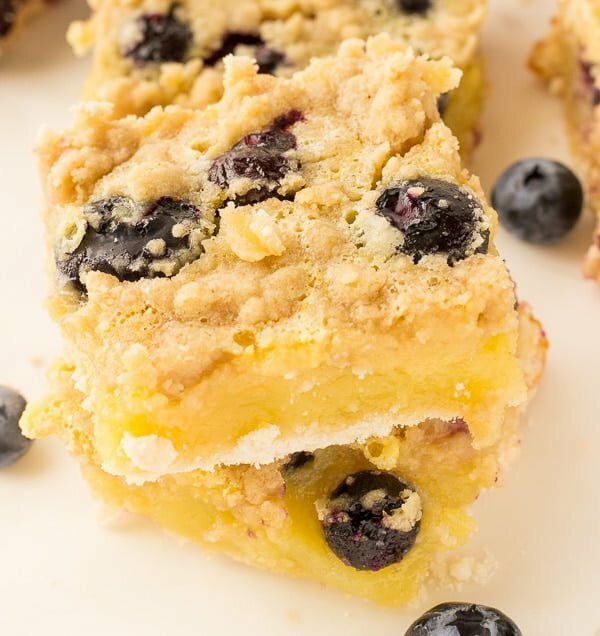 So to celebrate the warmer weather coming and all the exciting events this weekend, I made these delicious Blueberry Lemon Bars made with fresh blueberries and the crumble topping is AHHHHmazing! 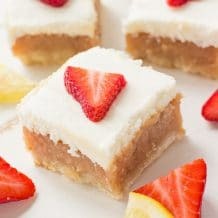 KRUSTEAZ MIX: I used my favorite KRUSTEAZ MEYER LEMON BAR MIX to make these bars. 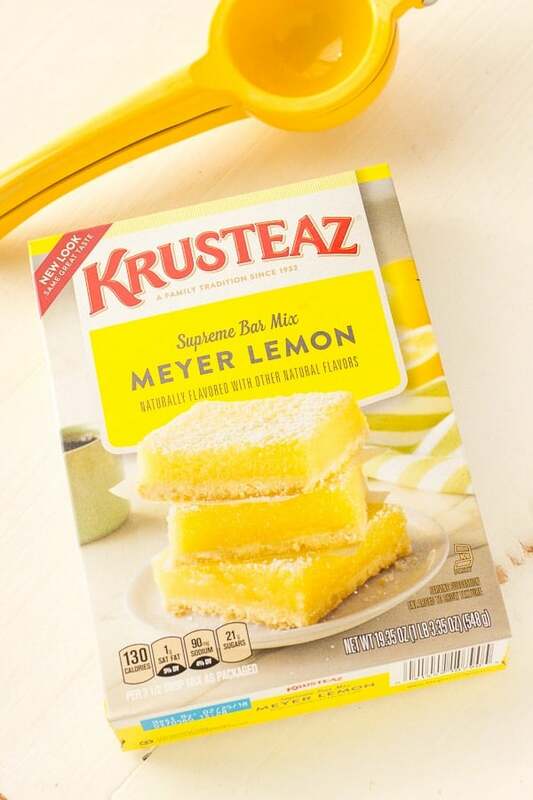 Seriously, the Krusteaz mixes are the BEST! 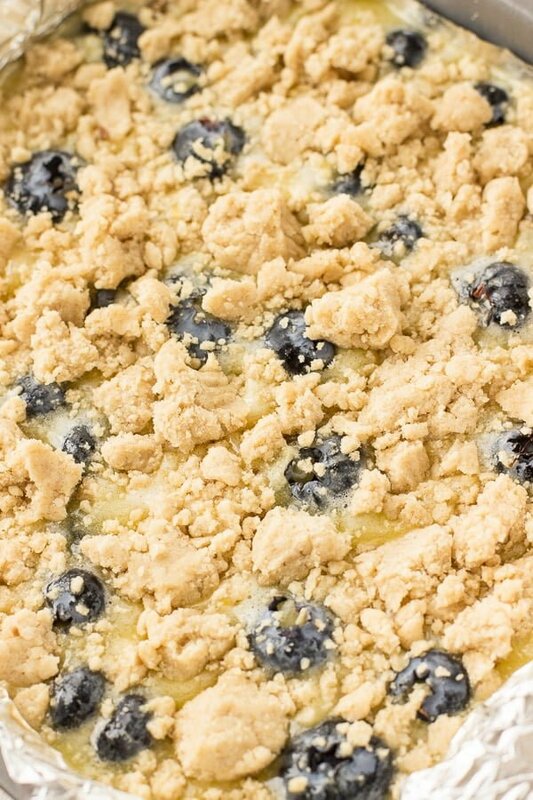 CRUMBLE TOPPING: To make the crumble topping, you will need to mix softened butter, brown sugar and flour together in a small bowl. 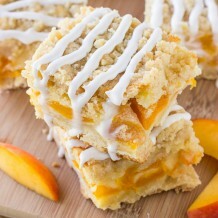 You can use a fork or I just like to use my hands to mix everything together to form the crumble. 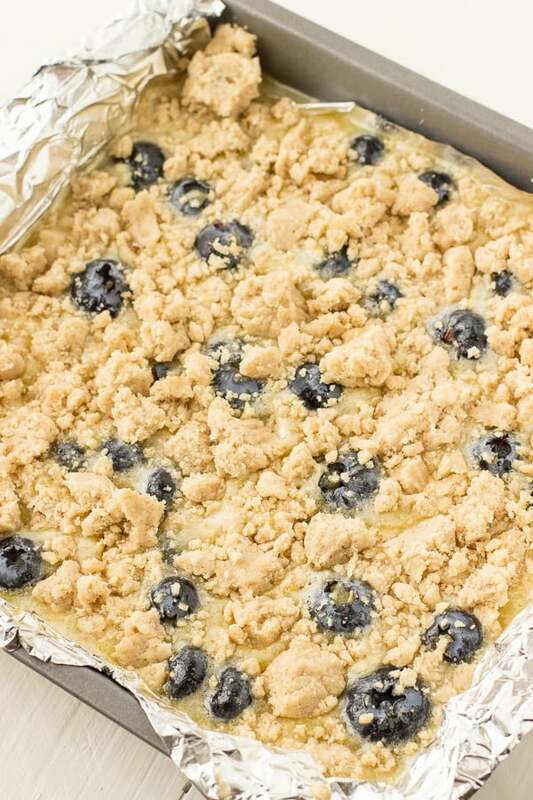 FRESH BLUEBERRIES: The fresh blueberries is what makes these bars so good. 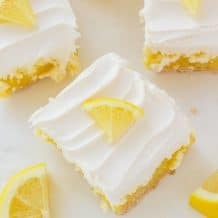 I love the combination of blueberry and lemon.